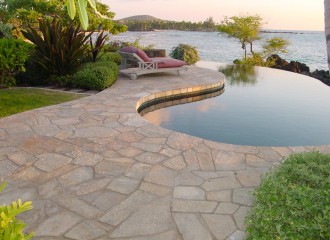 Elite stone and tile care services for Hawaii’s finest resort properties. Serving Maui, Big Island, and Kauai. The founder of Outer Island Stone Care started in the stone restoration business in 1988 and on Maui in 1995 where he pioneered many of the practices that are commonly used today. Within a very short time he became the preferred stone restoration service provider working for builders and property managers in the resort communities of Wailea, Makena, Kaanapali, and Kapalua, specialising in stone restoration services, marble cleaning & polishing, stone cleaning & sealing. We specialize in Marble Cleaning, Stone Restoration and Stone Sealing etc.The founder of Outer Island Stone Care started in the stone restoration business in 1988 and on Maui in 1995. There he pioneered many of the practices that are commonly used today. Within a very short time he became the preferred stone restoration service provider. He worked for builders and property managers in resort communities of Wailea, Makena, Kapalua. Our passion for stone, experience, and ability to find creative solutions in difficult situations is unsurpassed in Hawaii. Give your fine stone the attention it deserves. Porcelain Glazed Ceramic Tile and Grout Cleaning and Restoration.